Greens Powders, Meal Replacement Powders, and Whole Food Vitamins: Do You Need All Three? Perhaps this warrants a more detailed discussion between these different types of supplements. Vegan meal powders like Garden of Life Raw Food and Vega One are not the same thing as greens powders like Incredible Greens or Vitamineral Green, which are different still from whole food vitamins like MegaFood or New Chapter whole food multivitamins. They serve fairly functions but have important differences between their macronutrient profile, cost, and potential benefits. a meal replacement shake: worth the additional cost? Meal replacement powders are intended to be just that……something you can use in place of a meal. To perform this function they’ll typically have a combination of all the different macronutrients, a calorie count between 150-300, and an ingredient list that’ll comprise of protein, fat, fiber, carbohydrate, greens, and berries. They were traditionally used by bodybuilders looking to gain weight, but have recently become popular with the vegan/raw /vegetarian crowd as a way to combine several supplements into one. Popular brands from the latter category include Vega One, Shakeology, Garden of Life Raw Meal, NOW Foods vegan shake, and Amazing Grass Amazing Meal. They’ll typically be more expensive than greens powders and vitamins, with a cost that’ll typically run anywhere from $40-$120. Of course your particular brand of meal replacement powder will vary. The best ones will also have probiotics, digestive enzymes, and a fatty acid profile that’ll consist of mostly omega-3 essential fatty acids. They’re a convenient way to combine multiple supplements into one, and they’re the most satisfying to eat. The fat and protein give them a rich, fulfilling taste and they satisfy hunger in ways that multivitamins and greens powders cannot. They’re best for post-workout nutrition, people looking for a healthy snack at work or on the road, or people looking to consolidate the supplements they currently take. They can get pretty expensive. 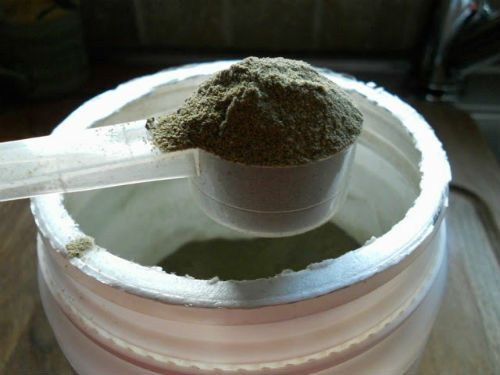 “Premium” meal replacement powders can cost up to $100, and this price is primarily for a nutrient (protein) that most people already get more than enough of and is fairly cheap to manufacture. I’ve written before how the majority of people do not need to worry about getting enough protein. Greens powders condense different green vegetables, sea algaes, medicinal herbs, grasses, and other therapeutic green foods into one powder. Their purpose is to primarily rejuvenate the body, “grease the wheels” of your metabolic systems, and give your body a cocktail of different phytonutrients and antioxidants that would otherwise be very difficult to get in your day to day diet. The contents of a greens powder will often provide a variety of different vitamins and minerals, but most are not specifically designed to provide the grocery list of vitamins A, B, C, etc. in the precise amounts that you’re accustomed to reading on the back of a vitamin label. They may also help reduce your appetite and feel more full throughout the day, but intentionally lack the bloat of a meal replacement powder. Greens powders embrace the idea of metabolic diversity. The concept that it’s not merely the nutrients in isolation that provide benefits to your body, but the delicate complex that they come delivered in which work synergistically to exert a level of metabolic control not possible with vitamins alone. Their core ingredients tend to be more expensive than the other two types of supplements, and usually have smaller serving sizes than meal replacement powders. Their prices are typically lower than meal replacement powders but are usually more expensive on a $$/oz basis. Provide the most valuable nutrients in the most viable form compared to the other two supplements, will often provide health benefits that are the hardest to replicate. Often taste bad, most expensive on a per ounce basis, and the sheer diversity of ingredients you can put into a greens powder makes it more difficult to decipher the differences in quality between products. For clarity on choosing one read my superfood powder buying guide. The whole food multivitamin is a twist on the most tried and true supplement in the world: the multivitamin. However, a large problem with multivitamins is that the majority of their nutrients come in a form that’s poorly digested and possibly even detrimental to your health. The whole food vitamin improves on this weakness by using the broth and extracts of whole foods to get the Vitamin A, B, C, E, etc to put in the pill. The nutrients in a whole food vitamin are the most processed and therefore least likely to have the greatest impact, but are very likely to have a higher absorbance than the traditional vitamin. Lots of people are just more accustomed to pills than powders, so many will find the form to be beneficial. A definite improvement over a traditional multivitamin, easier to take and digest, the most complete list of vitamins and minerals, cheaper on a per-serving basis than the other two options. More expensive than regular vitamins, more processed than a greens or meal replacement powder, the benefits stem more from theory than conclusive evidence, many pills are often required for one serving. The Big Question: Which One Should I Get? So all three of these supplements are a little bit the same and a little bit different. Do you need one? Two? All three? Let me begin by making the most important observation: it’s absolutely not necessary to always buy all three of these. The marginal value of these groups of supplements falls very quickly after you buy the first one. They are complimentary, but for $100-$150 a month you’ll likely have a higher return just buying healthier groceries. Each supplement covers about 2/3 of what the others do, so it’s mostly a matter of what’s most important to you. Choose the one that’s most important to you, then look at what you have leftover and decide if the differences between the other and what you don’t have is worth the extra money spent. If you want to know what I take…….it’s a greens powder. But of course anyone who reads this blog regularly will know what my biases are. So caveat emptor. For the infovores out there, here’s a condensed comparison among the different products. Next Post Fructose and Alcohol: Mirror Images of One Another? Great post! Thanks for sharing your expertise on meal replacement powders; I was always wondering about how effective those were. Btw, check your support inbox; I sent you an email earlier this week. Thanks. I don’t recall seeing an email from you, I’ll double check it later. 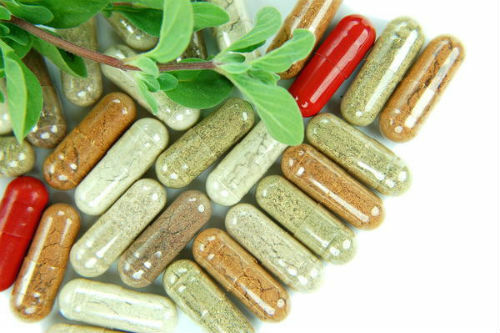 I love your articles on Health Kismet about creating a supplement business! I’ve been wanting to start my own for the last year, but didn’t know where to start so I put it on the back burner. You said you were able to start your company for $3000; can you show me exactly how to do the same? I’m most interested in learning how you decided on which manufacturers / dropshippers to use. Of course, I’d be willing to pay you (let me know how much), and I’m ready to start now! Feel free to contact me via email. And if you are not interested in coaching me, could you please point me in the right direction of where I can find dropshippers? Thanks for taking the time to read this, and I look forward to hearing from you! I just sent you an email. I also deleted the last part of this comment which had your personal information. Hi There, are you open to sharing this information with me as well? Have you written another post about it? Many thanks! Hi Naomi, this is coming very late…..sorry. Have you read my articles on entrepreneurship? They should answer your questions for you. Thank you for the great information. I recently received a feeding tube. I am 62 and will use it for the rest of my life. I am very active, ride a bike 12 miles a day and work out in a fitness center daily. Humana gave me Ensure to live off the rest of my life. After reading the label on back, I said no way. I will make it on my own. Thanks again for the info. No problem Bill, glad you enjoyed it. Let me know if you have any other questions. Hi Bill my mom has recently been placed on a feeding tube as well. She is unable to be very active.We’ve been mixing Vega protein supplements with different super foods(e.g. avocado, cacao, acai berries, kale.. )in our Vitamix blender. Do you think that’s suffix? Do you have any advice for mixing healthy meals for our mom? We found the ingredients on the back of the Ensure formulas alarming as well and want to stay away. Patricia a meal replacement powder would be best.